I would have to say I don’t know for certain whether WiP affected the book trade. But it seems to me that, especially over the first batch of years that it was in existence, it was blazing a trail. 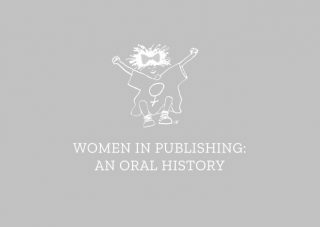 It was saying that there’s women working in publishing generally who are interested in doing things for other women and stating that they are involved in a women-only organisation and so on. And I think at one time, a long time ago, that was much more controversial than it surely is now. And in that sense it’s very important. It was making a statement, and it was a collective statement. And I’m sure that some of the activities that WiP undertook, whether it was about women’s books being reviewed, whether it was about sexism in advertising, whether it was about sexist writing, whether it was the Pandora Award, all of these kinds of things, I think probably contributed to a greater awareness within the book trade as a whole of how passionately interested women were in books and publishing and aspects of life that were affected by that, and that women wanted to play a full role, and for women in general to know that there was a community, among other communities, that they could be part of that was women and that some of the things that women experienced might be common and they might be good things to share and to fight against and to compare strategies and so on. Has to be a good thing. And I think maybe the fact that Women in Publishing doesn’t have a high profile as an activist organisation, in a way that’s sad because I don’t think everything’s been solved. On the other hand it’s encouraging because it’s clearly not as needed. And so it could be that from being, maybe, a little minor and sometimes caricatured thorn-in-the-side of parts of the publishing industry, at the beginning, that it grew into an adult organisation and took its place among others.